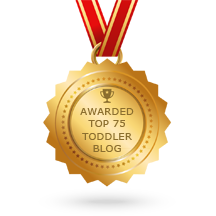 Whiny Meltdowns - Joyful Toddlers! I’m currently out of town at a conference but will write a full response soon. My experience is that some kids have a hard time at 2, and others have a hard time at 3. It’s usually one or the other, but it comes as a rough surprise to the parents of three-year-olds who thought they had gotten through the twos scott-free! So just know that it’s part of her process of coming into herself: discovering that she’s separate from you, that she has her own opinions, that she suddenly has big feelings but has very little impulse control. I have some ideas of things you can do to help things go more smoothly, but just know that this is probably just as uncomfortable for her as it is for you. Let her know by your attitude and your actions that you have compassion for her in this difficult time, and that you will help her learn to regulate herself so that the two of you can be in loving relationship again, enjoying your time together. I’ll write more later, but I just wanted to give you a first piece to work with. Not an easy piece, but a necessary one! Hang in there, mama! Your sweet girl will return; she just has some important things to learn first.